Binary options trading in Kuwait is gaining traction fast as the millennial generation born just after the Iraqi invasion of 1991 look to take advantage of the new technologies and opening up of the financial markets to seek alternative ways of investing and making money. In the words of a managing partner in Gambiorone Law, a law firm providing legal services to investors, the “number of people signing up (from Kuwait, Saudi Arabia and Egypt) is unbelievable”. In this article, we’ll look explore the state of the binary options market with a view to helping local investors. 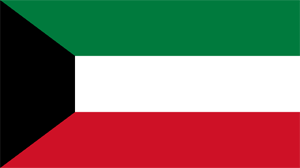 Kuwait is by per capita income, one of the top 5 richest countries of the world. However, Kuwait is a predominantly Muslim country. Even though the country has taken steps to liberalize its economy and open it up to foreign investors, there is still a tilt towards Shari’ah compliant investment vehicles. Islam prohibits Riba or interest-bearing investments; a situation which has undoubtedly introduced some challenges for those who want to trade binaries here. There are no local binary brokers in Kuwait. Therefore, all trading in Kuwait must be performed with offshore brokerage firms. Those firms that do offer the Islamic-style binary options accounts are quite few. The Shari’ah compliant trading accounts are accounts which do not permit any form of interest gain for swap or overnight positions. The laws in Kuwait governing the establishment of foreign companies, especially those in the financial investment space, are generally strict. Most foreign brokerages who would have wished to capitalize on the relatively wealthy nature of the Kuwaiti society therefore prefer to operate from other countries where the requirements are not so stringent and to target the Kuwaiti market from outside. Binary options are not regulated in Kuwait, but there are no local brokers as well. The best bet is to open the account directly from the website of an offshore broker located in a country where this trading type is regulated. The financial markets in Kuwait are regulated by the Capital Markets Authority (CMA), working in conjunction with the Boursa Kuwait and the Central Bank of Kuwait. These agencies have oversight and regulatory function on the Kuwaiti Stock Exchange and all companies offering investment activities. There is a law that regulates banking and investment finance activities in Kuwait. This law is housed within Law No. 32 of 1968 and was amended in 2003. Many of the investment companies operating within Kuwait offer investment models which are Shari’ah compliant. The Shari’ah Control Board exists to ensure that companies that are registered to provide Shari’ah-compliant services actually do so. The restrictive nature of the financial market space in Kuwait has led to many locals who intend to trade in Kuwait to open and operate accounts with offshore brokers. This puts added responsibility on the traders to ensure that the brokers they open accounts with are regulated entities in the country of domicile. With a tightly regulated and controlled banking system, traders in Kuwait need to be able to use make deposits to the trading platforms. Thankfully, the Kuwaiti government has worked hard to ensure convertibility of the Kuwaiti Dinar with international currencies. Therefore in addition to the traditional bank wire method, there are other country-specific methods of depositing money with a platform that are available to Kuwaiti traders. How do they work? a) Bank wires: Kuwaitis can make deposits to their brokers with bank wire transfers. b) Credit/debit cards: Popularly used cards are those from MasterCard and VISA. Debit cards are usually attached to bank accounts and are converted into the currency of the broker when the deposit is initiated. The use of credit/debit cards are therefore not a universally accepted method: some brokers will reject a Kuwaiti bank card. The broker that is chosen and the payment method offered on the platform will determine if local credit cards can be used. c) Kuwaiti Specific Digital Wallets: There are some Kuwaiti-specific digital wallets that enable Kuwaitis to make deposits with certain brokers. An example is Boloro Kuwait. d) Mobile Payments: Selected brokerage firms in the Middle East will accept payments made from selected mobile payment platforms such as M-Pesa, and SEQR M-payments. e) Global E-wallets: The use of e-wallets with global or near-global access on trading platforms is increasing. In addition to the major ones such as Skrill, Neteller and Webmoney, there are other country-specific e-wallets which can be used to transact on the major ones as well as on the trading platforms. Is it legal to trade binaries in Kuwait? Yes. It is not illegal, but the regulations for setting up such companies in Kuwait are extremely stringent. Kuwaitis who are interested in binary options trading in Kuwait must use offshore brokers, preferably the regulated ones. Are binaries regulated in Kuwait? No. The regulatory activities of the Capital Market Authority do not extend to offshore binary trading. How to trade binaries in Kuwait? There are virtually no local brokers in Kuwait. In order to trade in Kuwait, you must first open a trading account with an offshore broker. The presence of introducing brokers in Kuwait is negligible, therefore traders must rely on online communication with brokers to be able to trade binaries in Kuwait.